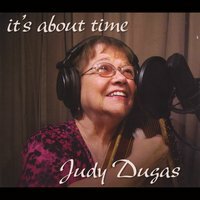 Judy's rich, velvety voice and her delicate autoharp playing of contemporary singer-songwriter melodies, accompanied by upright bass, violin, viola, flute and various percussions make this album a wonderful addition to any acoustic collection. Judy's goal was to present songs that have resonated with her long after the last note, to make them her own and share them with us. I found this CD to do exactly that. I can't stop humming these in my head/sleep/shower. They are memorable melodies with lyrics that speak to us, sung with meaning and conviction by a full, deep and expressive voice. The opening song, 'A Place Called Home' first struck me with a long dormant memory of the old Jim Reeves sound. The wonderful liquid, easy drop to a register we're not expecting. Judy's autoharp accompaniment is lilting and fluid, enhanced by wonderful, supportive and interesting percussion from her daughter, Emily who produced and recorded this album. The second cut, 'By Way of Sorrow' introduces an intriguing melody and fine backup sounds of whistle, flute, and tasteful percussion. Coming early in the CD, it gives a taste of what to expect all the way through -- Melodies that are interesting and a little out of the ordinary, meaningful lyrics that say something to us about the human condition, sung by a marvelous voice, and wonderful musical interplay from family and friends. On 'Some Days Are Diamonds, Some Days Are Stone,' I am struck by Judy's vocal control. Fluid is the best way I can describe this. She makes it sound easy. I had the same thoughts with 'Caledonia'. Her voice trills without sounding at all forced. It just lilts like the river outside my window. Her deep vocal tones and the spirited accompaniment provided by her family and friends make me think, "this is Celtic Soul music." When Judy sings, 'Didn't I Dance,' by Lori Holland, you know she means it. It's one she has done many a time. It's always true, beautifully presented. Aside from the fact that the song is delivered so well musically, the lyric is a perfect example of the overall meaningful nature of the songs she's picked for this album. The song 'Death Come a Knockin'' presents a wonderful soulful solo by Judy, with the addition of innovative percussion. The bodhran and hand clapping emphasize what Judy's doing without interfering. Judy's autoharp solo, 'Arran Boat Song' is intricate without seeming busy. With some fine flute accompaniment, it stands on its own as one of the nicest recordings of this melody I've heard. Also noteworthy is 'Return to Me,' beginning with a long instrumental so well done, I thought, "So there's no singing on this one? That's fine too..." But then the vocal and percussion follow and are also remarkable. The back up musicians on this and other cuts are stunning. 'I'm listening to your CD now and can't stop smiling! Good job!" I've heard Judy sing in person and have long wanted a CD of her music. Now I've got it! My favorite song is "Didn't I Dance" but everything on this CD is done to perfection. Now I can have Judy sing to me at any time! Don't miss the 'bonus tracks"...they're a hoot!! Different - in a great way! Not your average Autoharp album, not your average songs, instrumentation, voice, arrangement... All are distinctly above average. I love Judy's voice, first and foremost - silky, deep, and she really knows how to use it with terrific breath control and ornamentation. She is also never afraid to let it stand on its own, or just with some excellent percussion, like on my favourite track "Death came a knockin". But she also knows how to use the Autoharp to accompany singing perfectly, like on "Some days are Diamonds..." - the sustain under the voice with little treble fills and perfect breaks is a super example of how the Autoharp can duet with the voice, support it and not drown it. This is in general a superbly recorded and balanced CD as well, with the sparse but just right instrumentation being wonderfully arranged and balanced. The bowed bass and the bodhrans playing are really exceptional, but Judy more than holds her own with solo Autoharp as well. And where else will you hear Autoharp and pipes, as on "The Song will Remain" from my own countrymen, Steeleye Span? And the bonus track just shows what the album cover photo shows - Judy enjoyed making this album, and you will enjoy listening to it.